This book brings together theoretical and clinical aspects of Neuropsychological Rehabilitation. Following an introductory chapter and a brief history of Neuropsychological Rehabilitation, there are chapters on specific cognitive deficits (attention, executive deficits, memory, and language). The next section addresses rehabilitation of emotional, social and behavioural disorders. Then comes a section on specific groups of people (children, people with dementia and people in reduced states of awareness. Although the main focus of the book is on adults with non-progressive brain injury, these other groups are included as NR is being increasingly employed with them. The book concludes with a chapter on systems of service delivery and another on the future of NR. Thus this book covers a number of aspects of NR and is broader in outlook than most existing books in this area. It presents current practice techniques in cognitive rehabilitation from a conceptual and theoretical perspective. It offers both clinicians and researchers a sense of the research and theory underlying current clinical applications. The main audience will be clinical neuropsychologists especially those working in rehabilitation. Other audiences include clinical psychologists working with people who have mental health problems, schizophrenia or are elderly; occupational therapists; speech and language therapists and rehabilitation doctors. It is likely that some social workers, nurses psychiatrists and neurologists will also want to read the book. B.A. 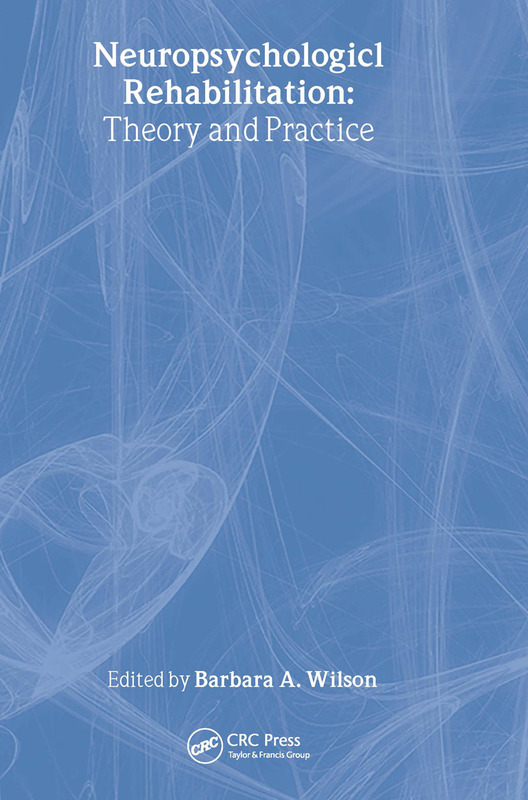 Wilson, The Theory and Practice of Neuropsychological Rehabilitation: An Overview. C. Boake, Stages in the History of Neuropsychological Rehabilitation. T. Manly, Rehabilitation for Disorders of Attention. J.J. Evans, Rehabilitation of Executive Deficits. B.A. Wilson, Rehabilitation of Memory Deficits. A.M. Raymer and L.M. Maher, Rehabilitation of Language Disorders. W.H. Williams, Neuro-rehabilitation and Cognitive Behaviour Therapy for Emotional Disorders in Acquired Brain Injury. R.L. Tate, B. Strettles and T. Osoteo, Enhancing Outcomes after Traumatic Brain Injury: A Social Rehabilitation Approach. N. Alderman, Rehabilitation of Behaviour Disorders. L. Clare, Rehabilitation for People with Dementia. V.A. Anderson, Outcome and Management of Traumatic Brain Injury in Childhood: The Neuropsychologist Contribution. A. Shiel, Rehabilitation of People in States of Reduced Awareness. T.M. McMillan, Rehabilitation Services and their Delivery. B.A. Wilson, The Future of Neuropsychological Rehabilitation.